According to rental site Zumper, median rents for a 1-bedroom in Society Hill are hovering around $1,645, compared to a $1,495 average for Philadelphia as a whole. So how does the low-end pricing on a Society Hill rental look these days--and what might you get for the price? We took a look at local listings for studios and 1-bedroom apartments to find out what budget-minded apartment seekers can expect to find in the neighborhood, which, according to Walk Score ratings, is extremely walkable, is great for biking and boasts excellent transit options. This 1-bedroom, 1-bathroom apartment, situated at 334 Lombard St., is listed for $1,325 / month. In the unit, you're promised hardwood flooring, a dishwasher, closet space and wooden cabinetry; Feline companions are permitted. Here's a 1-bedroom, 1-bathroom apartment at 723 Spruce St., which, at 600 -square-feet, is going for $1,460 / month. When it comes to building amenities, expect on-site laundry and assigned parking. In the unit, the listing promises air conditioning, hardwood flooring, built-in shelves, large windows and a fireplace. Pet owners, inquire elsewhere: this spot doesn't allow cats or dogs. 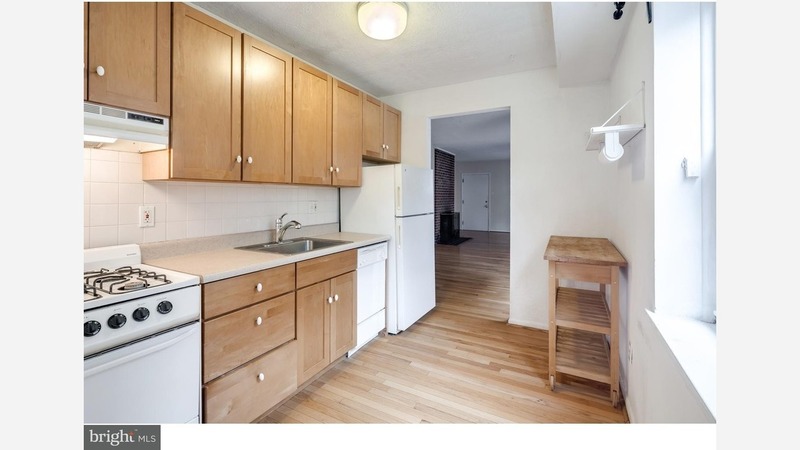 Listed at $1,535 / month, this 1-bedroom, 1-bathroom apartment is located at 406 Spruce St. In the unit, expect air conditioning, hardwood flooring, a walk-in closet, in-unit laundry, a dishwasher and stainless steel appliances. Attention, cat owners: your kitty is allowed here. Building amenities include secured entry. This 1-bedroom, 1-bathroom apartment, situated at 230 Pine St., is listed for $1,550 / month for its 700-square-feet of space. In the unit, you'll find air conditioning, hardwood flooring, a fireplace, a dishwasher and a spacious closet. Pet owners, inquire elsewhere: this spot doesn't allow cats or dogs. And here's a 1-bedroom, 1-bathroom apartment at 313 Spruce St., which is also going for $1,550 / month. In the unit, anticipate air conditioning, hardwood flooring, a dishwasher, stainless steel appliances and plenty of windows. Pets are not welcome.